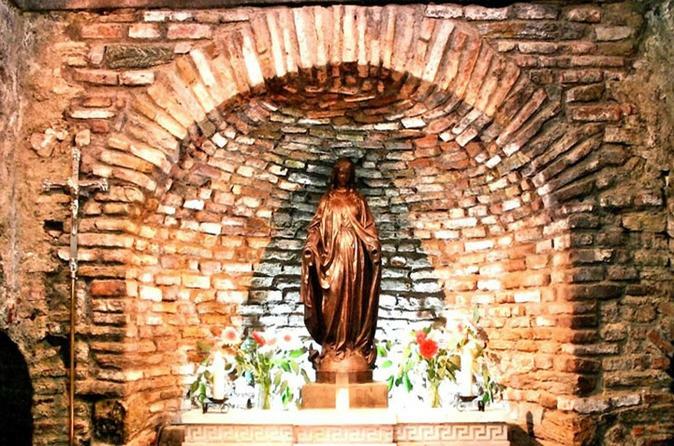 You will visit The House of Virgin Mary, where it is believed she spent her last days. This is a holy place for both Christians and Muslims. Then you will visit the world famous ancient Greco-Roman City of Ephesus, one of the most well preserved ancient cities in the world. 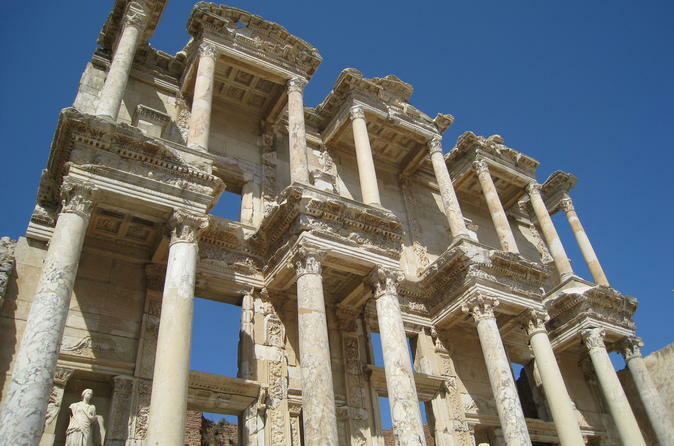 A private tour to Ephesus including Temple of Artemis and Sirince Village. This tour delights historians, travellers, photographers and novices alike. You are immersed in history, culture and theology, skilfully aided by our expert tour guide. 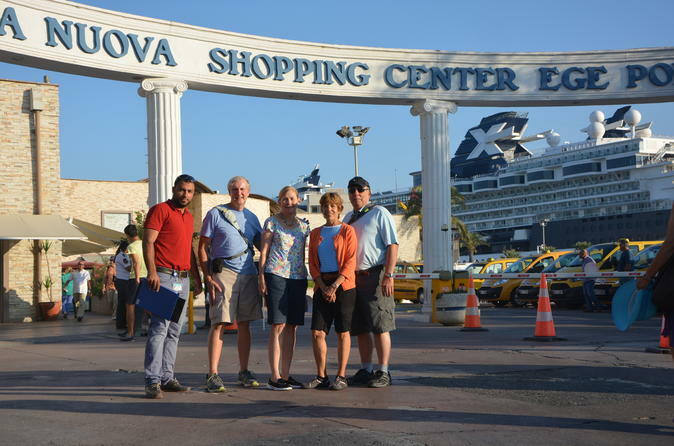 Visit the great ancient city with your own private guide and driver. Your local guide and your professional driver will narrate your journey to Ephesus Ancient City with a private van. 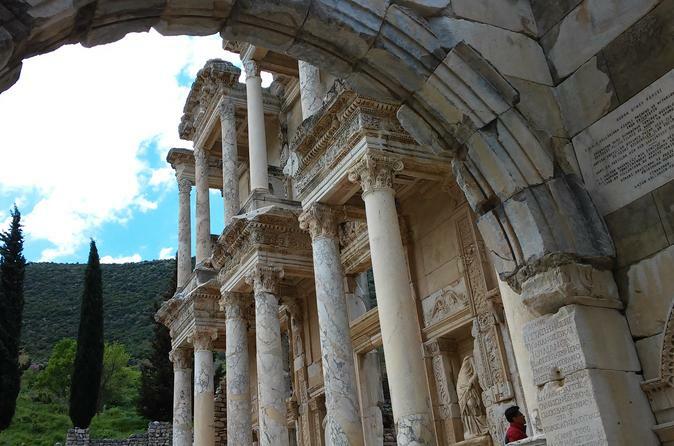 Discover the outstanding ruins of Ephesus and the House of the Virgin Mary on this day trip. Visit the Temple of Artemis, one of the Seven Wonders of the Ancient World and one the best-preserved ancient ruins in the Mediterranean. Also see the House of the Virgin Mary, the place where she spend her final days. 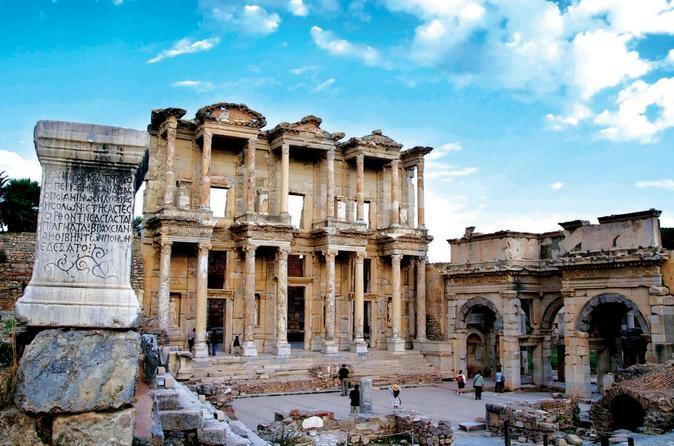 This Ephesus Ancient City tour offers you one of the best cultural trip of your life. 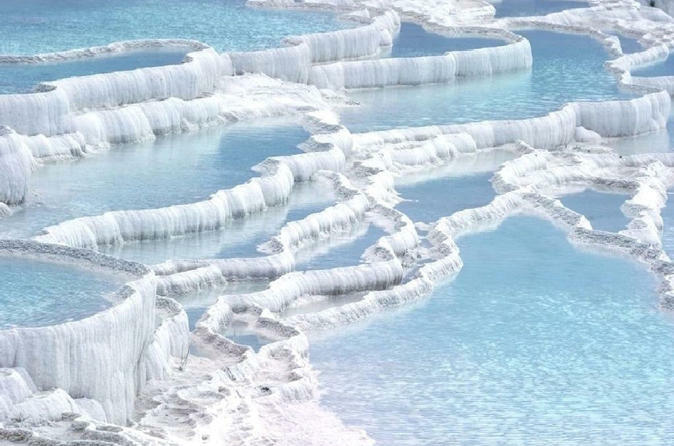 Enjoy this day trip to Pamukkale which is the center of natural thermal spring waters with healing properties. Due to the chemical properties in the water, pure white colored travertines and stepped water terraces have been created on the mountain slope. It is for its resemblance to cotton piles that it is called "Cotton Castle" in Turkish. 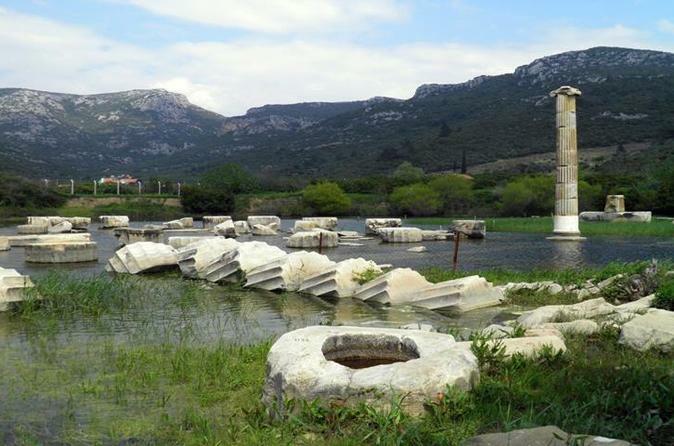 Visit the travertines and the Ancient City of Hierapolis which has the biggest Nekropol with 1200 gravestones in Anatolia. The sacred pool also is one of the highlights of the site. There shallow thermal waters ripple over a wonderful scattering of ancient roman ruins which lie beneath. Transfer back to your hotel after the tour. Visit great ancient city Ephesus with a private tour guide and take a cooking class during this tour. This tour designed for the travellers who have already been to Ephesus or the ones who wants to keep away from the crowd. 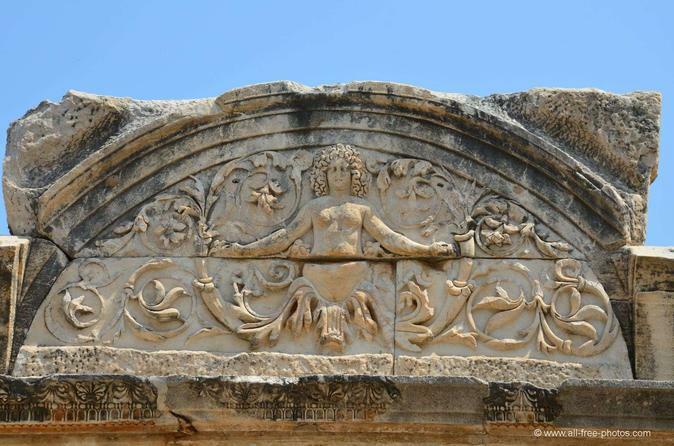 Selcuk is the home to many fascinating ancient ruins and sites that date back as far to B.C. times. 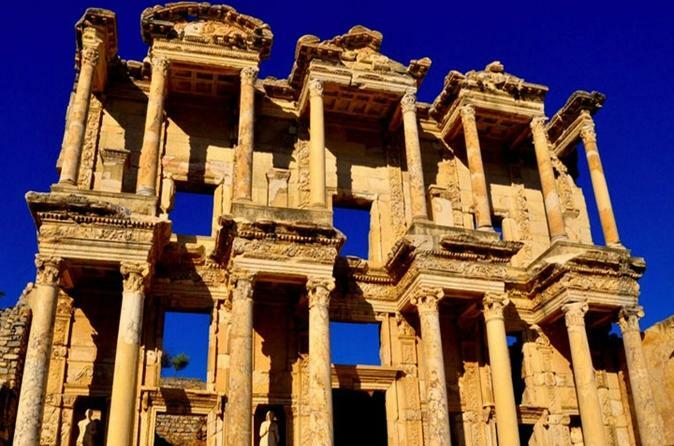 On this one day tour you will get to visit the best sites in Selcuk such as the very important Ancient City of Ephesus, the wonderful Temple of Artemis, the House of the Virgin Mary and the Isabey Mosque. The day will take you through all the sites whilst your professional local guide will give you some interesting insight into how life used to be when these sites were at their full working power. 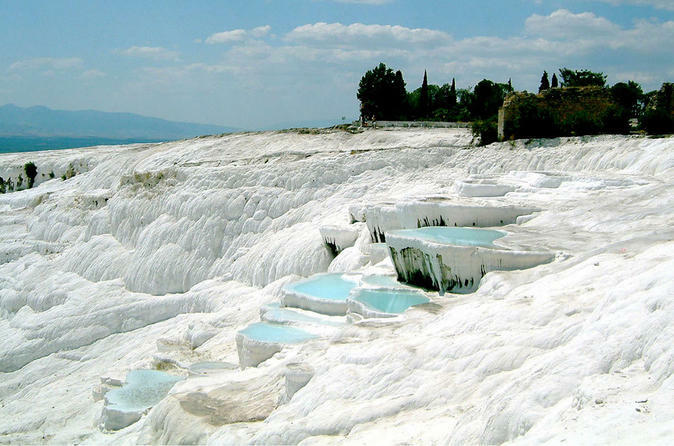 Discover Pamukkale with the small group tours of locals. The tour itinerary is Hierapolis Ancient City, Travertine Terraces of Pamukkale. Also, delicious Turkish lunch is included.